It has been well-established (if you’ll pardon the pun) that water played a prominent role in the religion of the ancient peoples of north and west Europe before the establishment of christianity. Even afterwards, and particularly in Ireland (no doubt something to do with its superabundance of moisture), this continued to be the case. Flag Fen, England – site of a timber trackway and platforms built over water during the Neolithic and Bronze Age, associated with ritual water deposits. Anyone seen Grendel’s mother? Votive deposits of religious artefacts, weapons and artefacts, food such as cheese and even human remains have been discovered in Europe’s wetlands, dating to the Bronze Age if not earlier, and archaeology of these environments has uncovered extensive constructed track-ways and structures to which have been ascribed great religious as well as economic and social importance. 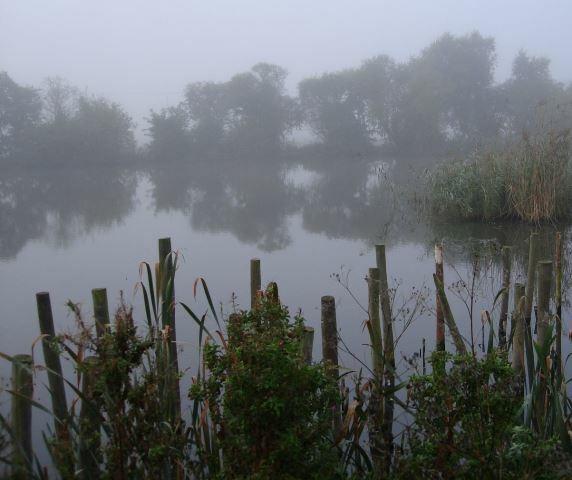 An increasing number of crannogs and related ancient lake structures have been identified in the aquatic (and formerly aquatic) landscapes of Britain, Ireland and the rest of the ancient Celtic world. These are testament to the unique importance of proximity to water in the lives of peoples in the humid and often stormy climes of the Atlantic northwest of Europe: It offered protection, food, a source of power, a medium of transport, and a resource for industry. Coupled with the profound relationship between early (post-‘Theodosian’) Christian churches and religious settlements in northern and western Europe and the older pagan ritual sites at or near wells, springs, lakes, rivers and islands, it can be seen that water was at the heart of religious as well as secular life. The legendary imagery connecting man with the spirit world through water is found throughout Europe from antiquity, but in particular it remained an active and important feature of the stories and literature of Atlantic Europe in the post-Christian period: From the lake-dwelling ‘Grendel’s mother’ and her role in Kingship in the Anglo-Saxon epic Beowulf, to the ‘Lady of the Lake’ (variously known as Nimue, Viviane, Elaine, Niniane, Nivian, Nyneve, and Evienne etc) of later Gallo-Brythonic ‘Arthurian’ legendary romances, the magical female in water pervades mythology. 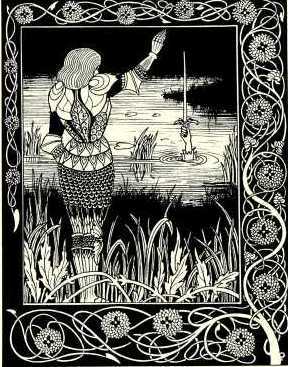 Breton traditions tell of Malgven or Morgan, her daughter Dahut – the ‘Groac’h Ahez’ and her silver keys to the gloomy underwater realm – the medieval Lai tradition (Marie de France etc) from the region used the theme of beautiful female fairies met at springs and rivers into which they might plunge carrying worthy knights to the fairy realm of Avalon. 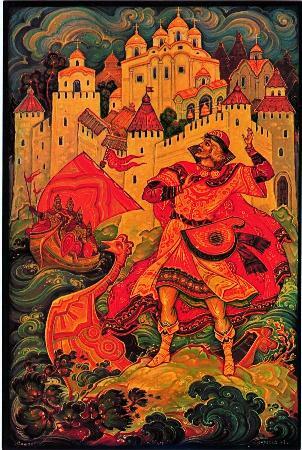 In Russia (where magical female spirits inhabiting rivers are called Rusalka), there is a similar tradition of the aquatic otherworld – a medieval epic tale known as Sadko, in which its eponymous hero visits the world of the ‘Sea Tsar’. 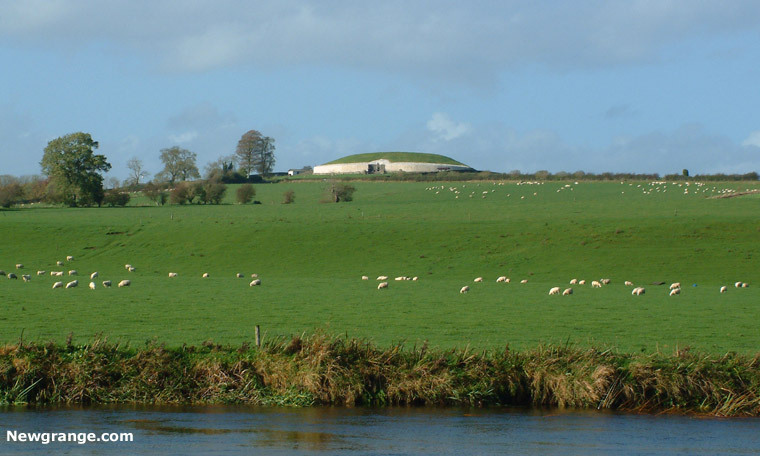 Newgrange on the Boyne (Boand). Horde of poisonous sheep shown for scale! In folklore, there are still many more tales involving the aquatic realm and the magical female, not least of which are those of the merrows and mermaids and the continental melusine. 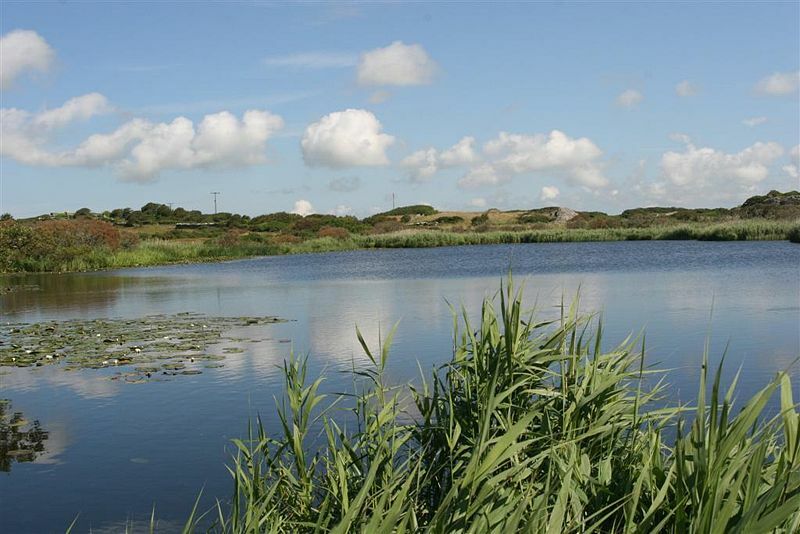 In my next post, I am going to examine one particular sacred ‘aquatic’ landscape in Ireland: The Bog of Allen. ← Sí People or Sea People?